“For most people, the goals they set on New Year’s Eve are really things they’d like to do, but they can’t find the strength to keep up with them after just a few days’ time.,” said Scott Clark, president of The Spa and Sauna Company. A Portable Spa is a Good Excuse to Enjoy the Outdoors – For most people, the most practical space for a hot tub is in the yard or on a patio. Hot tubs can be used year-round, no matter the weather, and if it is installed under a gazebo, or porch roof, even in the rain and snow. No matter what the weather, getting out of the house, or other enclosed spaces like school and work buildings, is a healthy, invigorating thing that is good for the mind, body and spirit. Where most of the time, people don’t think about going outside to relax, and instead settle onto the couch to watch television or play on gadgets, with a hot tub in the yard, they are drawn to the outdoors to enjoy fresh air, sunshine or any weather that is there, in a relaxing and luxurious atmosphere. Hot Tubs Bring People Together – Because a hot tub is such a desirable place, everyone, young and old are drawn to it. This draws everyone in the house, and friends or extended relatives over to it, so that people spend more time communicating and enjoying each other’s company. A hot tub becomes a social place where people in the family and friends circle can talk about issues and forget about life’s worries. Hot Tubs Help People Lose Weight – Soaking in a hot tub regularly can help people lose unwanted pounds. Losing weight as many people know is one of the top New Year’s Resolutions every year It’s also one of the top three resolutions to fail within the first few weeks. It doesn’t have to be, however. Soaking in a hot tub increases blood flow, lowers blood sugar and elevates dopamine for a sense of well-being, all of which help increase both the desire to lose weight and the will to lose weight while also setting the body up to be able to lose weight easier. To learn more about the benefits of owning a hot tub, just call 775-852-3838 or visit https://spaandsauna.com/lake-tahoe-hot-tubs-swim-spas-sale/. The Spa and Sauna Company has been providing the Reno and Lake Tahoe area with the best in leisure and relaxation products since 1990. 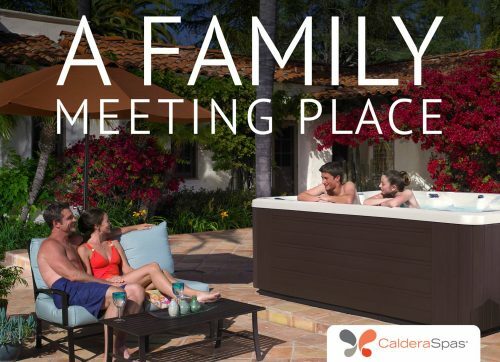 The company offers America’s favorite portable hot tubs - Hot Spring Spas and Caldera Spas. They also offer Freeflow Spas, which are affordable, portable and plug-and-play hot tubs. Between all 3 area showrooms, the Spa and Sauna Company offers a beautiful collection of fine game room products for the home, as well as America’s best-known names in billiards, Brunswick and Olhausen Billiards. They also have a full game room lighting collection as well as the ultimate pool players pro shop. The company goal is to provide their clients with the ultimate home recreation and wellness experience. They are dedicated to not only showcasing the best products available on the market today, but to offering customers an unparalleled purchase and service experience. In addition, they’re proud to showcase swim spas on display, patio furniture and fire pits and a complete display of Big Green Eggs BBQ's and accessories. To learn more about the benefits of owning a hot tub, swim spa or sauna call 775-852-3838 or visit https://www.spaandsauna.com/. Organization: The Spa and Sauna Co.